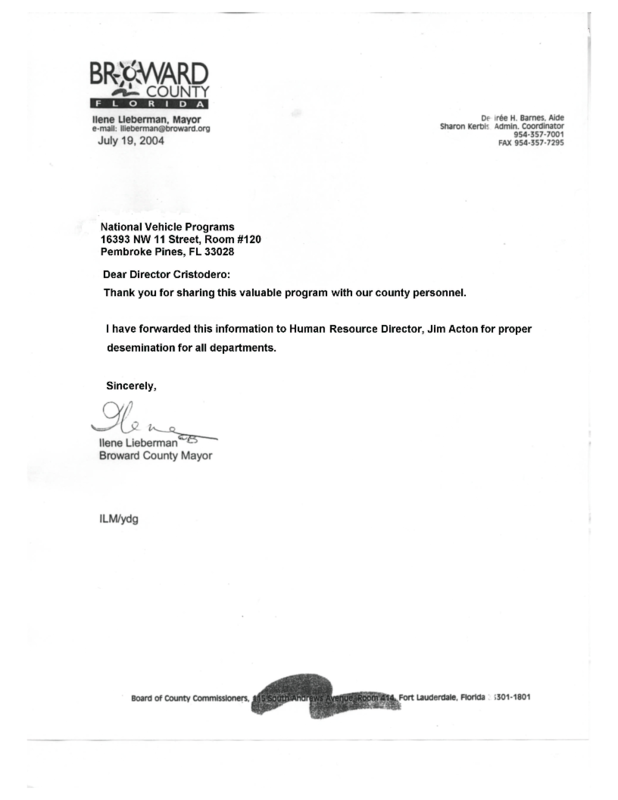 Below is an acceptance letter from Broward County Government in Florida. Click on the below image to see the full size letter. Here is a transcript of the acceptance letter. Thank you for sharing this valuable program with our county personnel. I have forwarded this information to Human Resources Director, Jim Acton for proper dissemination for all departments.